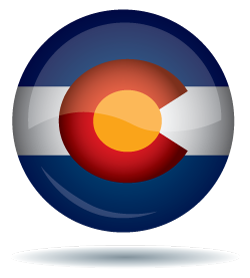 The Colorado Real Estate market is on fire so make sure you stay on top of your license requirements. It is easy to get busy helping clients and forget about your continuing education. Take our Colorado Real Estate courses today and so you can rest assured that you are being the best real estate broker that you can be. This package includes 12 elective CE hours and the 2018 Colorado Annual Commission Update course required for active Broker license renewals. This package includes 12 elective CE hours required for active broker license renewals. This four-hour course highlights compliance issues, reviews general practice knowledge, summarizes recent regulatory and Commission changes that affect the real estate industry, and meets Colorado’s mandatory requirement for CE. Reminder: The ACU is best taken at the beginning to middle of the year. Also, the ACU is not a contracts course. Real estate professionals can increase their value to their customers by learning the tax implications of home sales in the USA. Discover strategies every real estate agent can use, including how to identify the sources of active, portfolio, and passive income. Discover how long- and short-term capital gains and losses are treated. Learn how depreciation affects taxable income, cost basis, and taxation of capital gains. You will also look at the ownership and use requirements for claiming a section 121 exclusion of gain, how to calculate taxable home sales gains, and more. A great resource in helping agents better understand tax implications and assist their clients. Examine fair housing laws from a historical perspective, residential segregation, the Federal Fair Housing Act, familial status discrimination, developing reasonable occupancy standards, the definition of "handicap", NAR positions on AIDS disclosure and more! Do you know how to influence, transform and inspire others? ?Leading and Communicating Effectively? is packed with powerful information and ideas to help you improve your leadership skills! Explore different types of authority?examine ways to build a company image and reputation?discover the most effective communication styles?find out the essential elements of developing a policies and procedures manual. If you want to build your leadership role?this course is for you! There's no question about it: In today?s real estate environment, knowing how to avoid legal problems is essential. This must-have-course provides an overview of how to minimize your liability. You'll learn about the importance of establishing agency policies, developing effective marketing and advertising practices, effective anti-discrimination practices, plus how to reduce your risk by maintaining proper records. Stay out of legal hot water! Enroll today! Ethical Real Estate covers the NAR Code of Ethics and reviews case studies pertaining to the code. Sample scenarios are included as a decision making practice for licensees. This course will insure that real estate professionals have a strong understanding of the National Association of Realtors ® (NAR) Code of Ethics and understand the difference between ethical and unethical behavior. This course meets NAR's 3-hour mandatory ethics renewal training and covers the Preamble and Articles 1 - 17 of the NAR Code of Ethics. This course discusses the importance of ethical behavior in the practice of real estate, and how a licensee's ethical standards can improve or harm a licensee's career, and the profession as a whole. The course compares and contrasts ethics, morality and the law. It describes principles supporting high ethical standards in real estate, the role of ethics in proper disclosure, and the types of ethical challenges a licensee may face in a competitive market. It discusses ethics as they relate to advertising and pricing, and how a licensee can best be supported to maintain high ethical standards. It concludes with a discussion of the types of ethical complaints commonly made against licensees, and how licensees may best avoid and respond to those complaints. This course is designed to improve real estate licensees' knowledge of green energy, green housing, and the types of green certification available for buildings, systems, and licensees so that licensees may better serve clients who are interested in green living or building. The housing market is becoming increasingly greener, due in part to regulatory demand, and in part to consumer demand. Licensees completing this course will understand the techniques used in green building, the benefits of green building for energy efficiency, resource conservation and marketability; the types of green certification available and how they apply to systems, housing and licensees; and how to appropriately refer green contractors and other vendors. This course serves as a must-have guide for gaining an overall understanding of the green housing movement, and how licensees may best serve clients interested in green real estate. Twelve (12) of the 24 hours must be comprised of three (3) different versions of the four hour (4) Annual Commission Update Course. Below is more information about this course. The remaining twelve (12) hours can be any combination of elective credit hours approved by the Colorado Real Estate Commission (Commission).